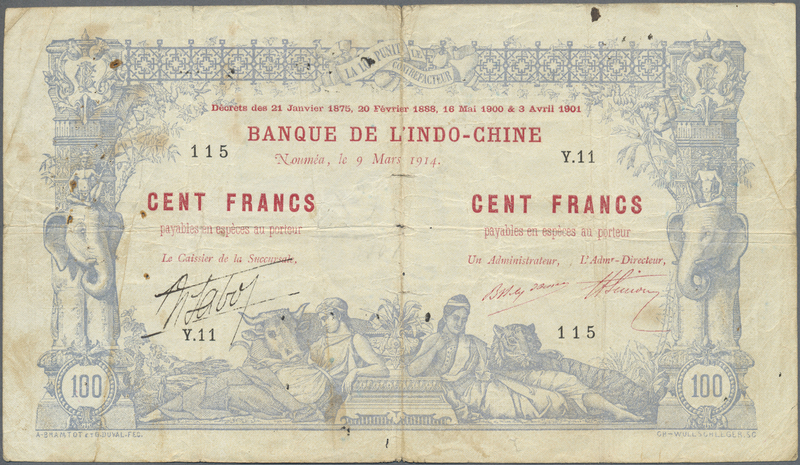 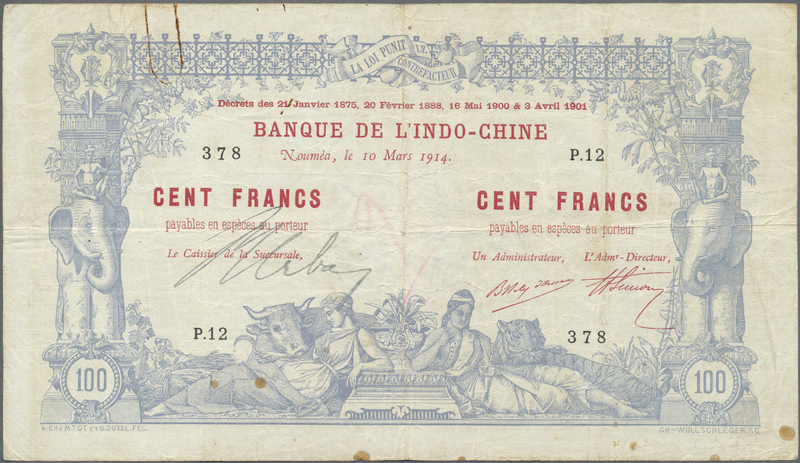 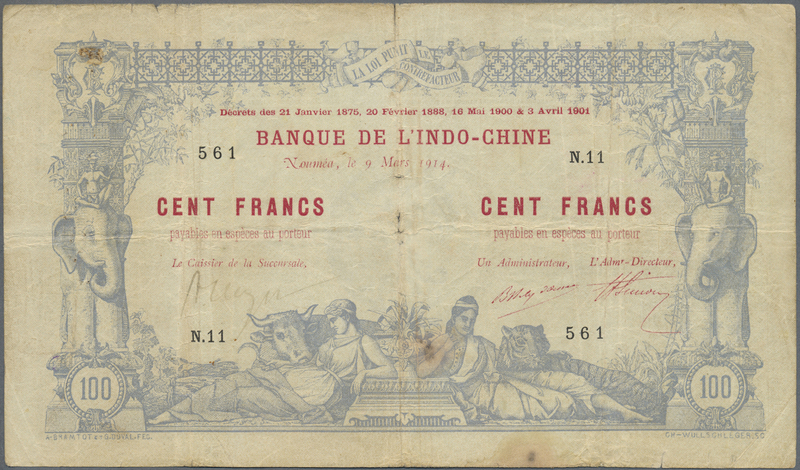 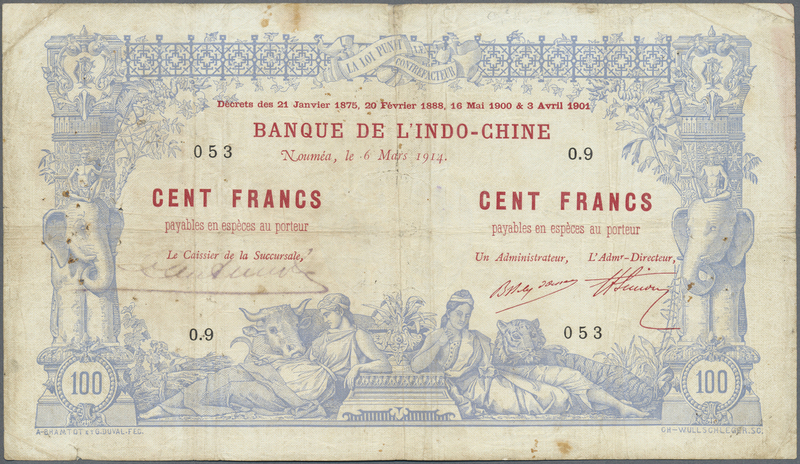 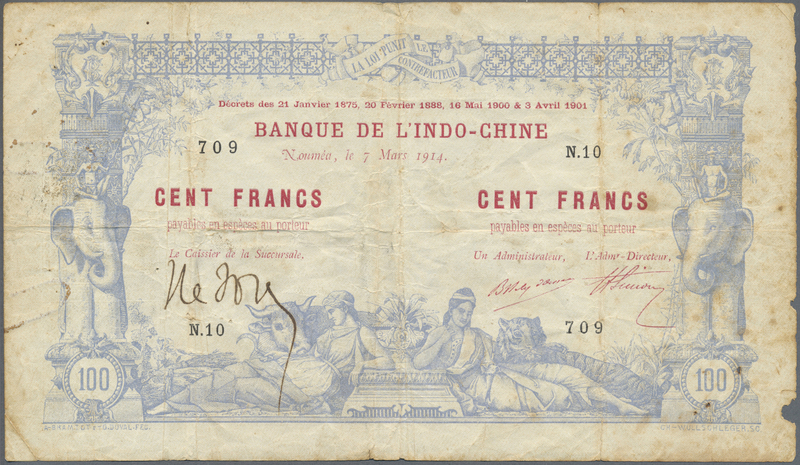 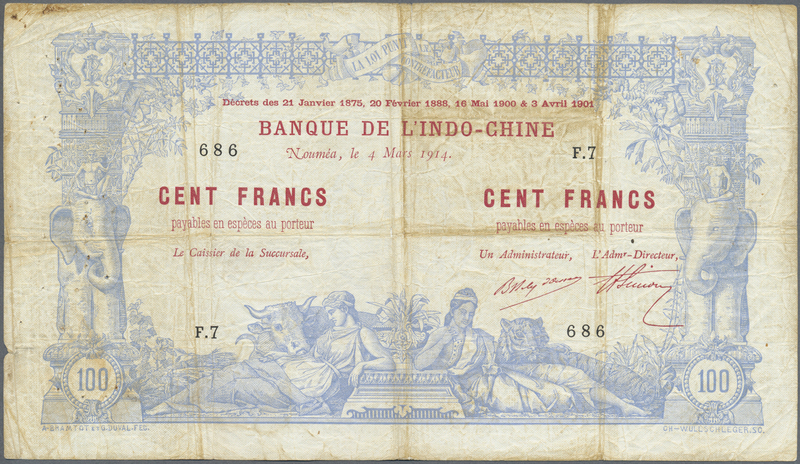 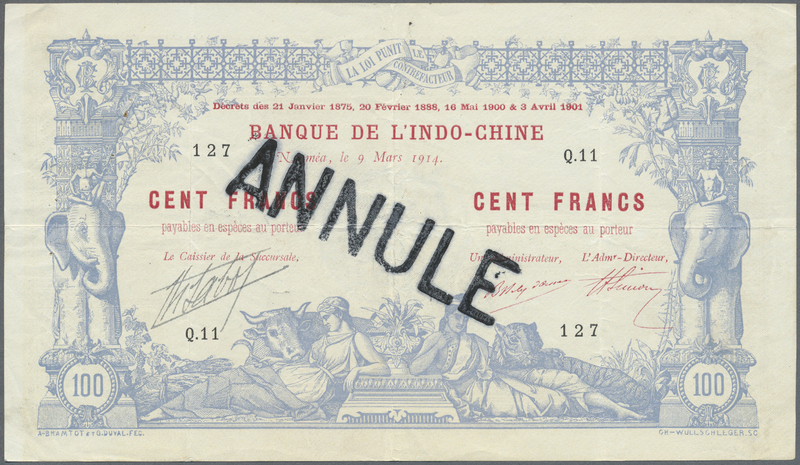 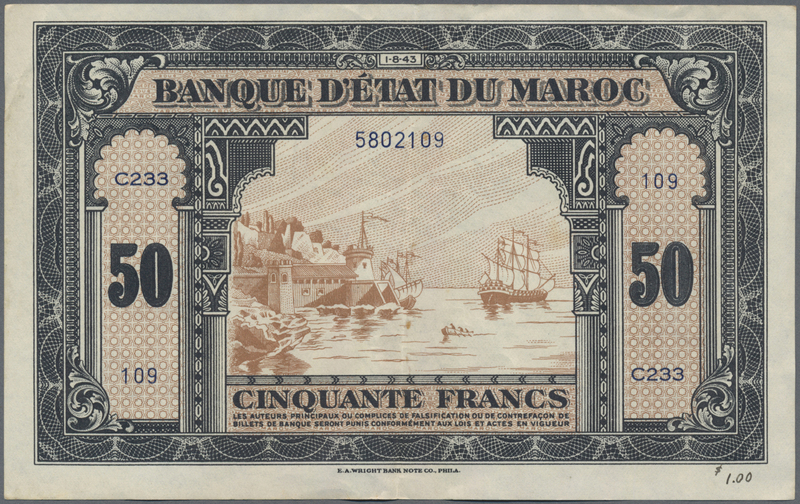 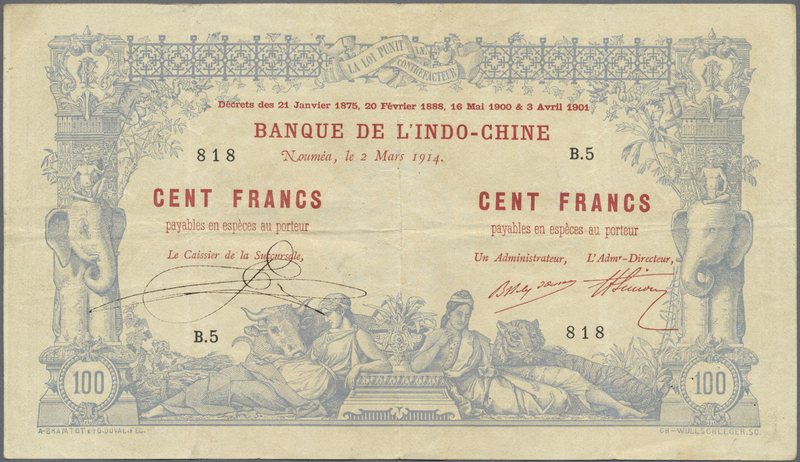 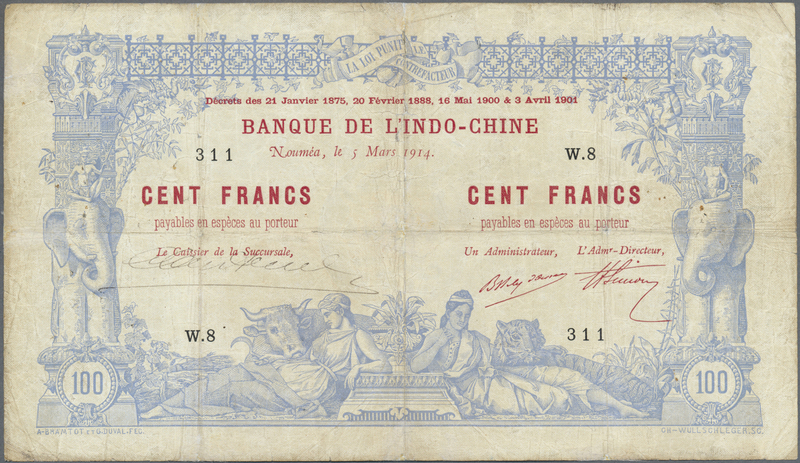 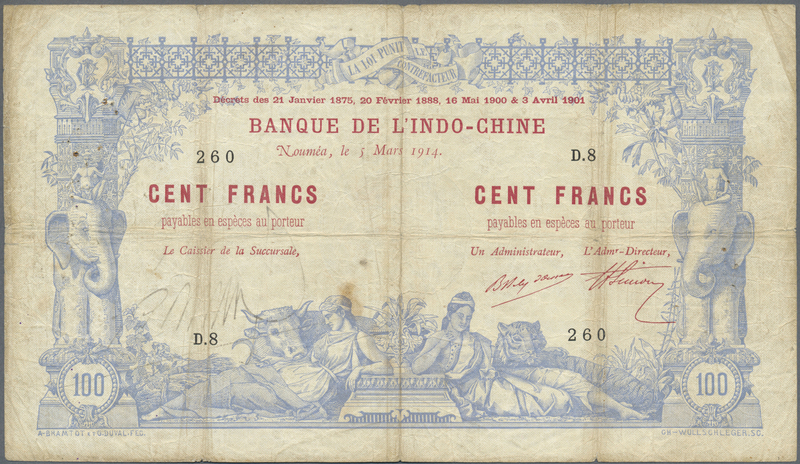 2154 Pick 33s 5 Francs 1943 Specimen P. 33s, in condition: WBG graded 61 UNC. 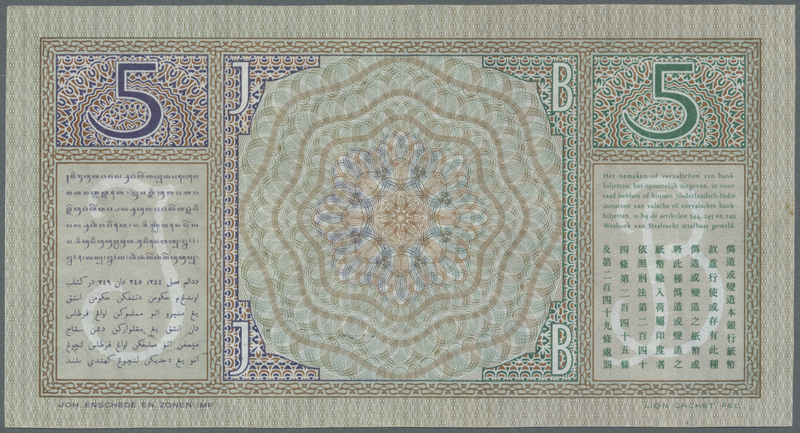 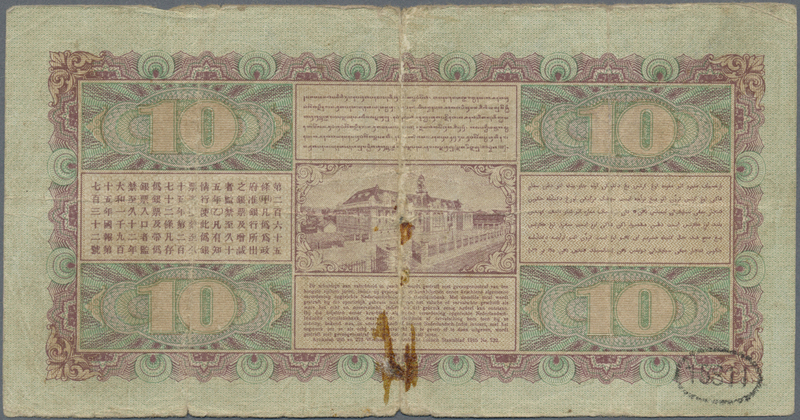 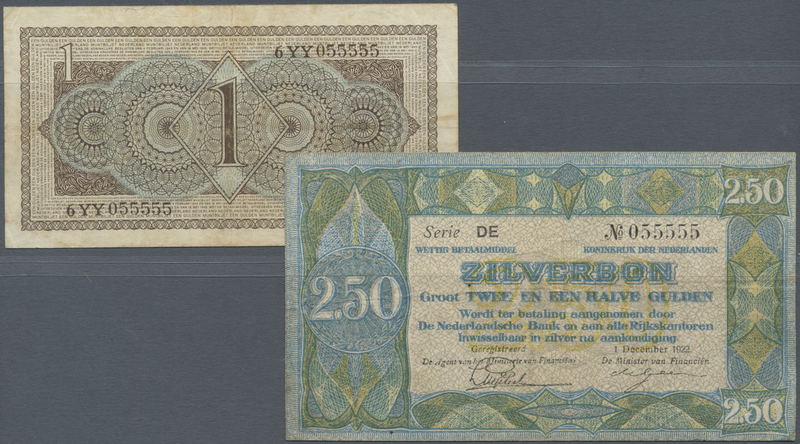 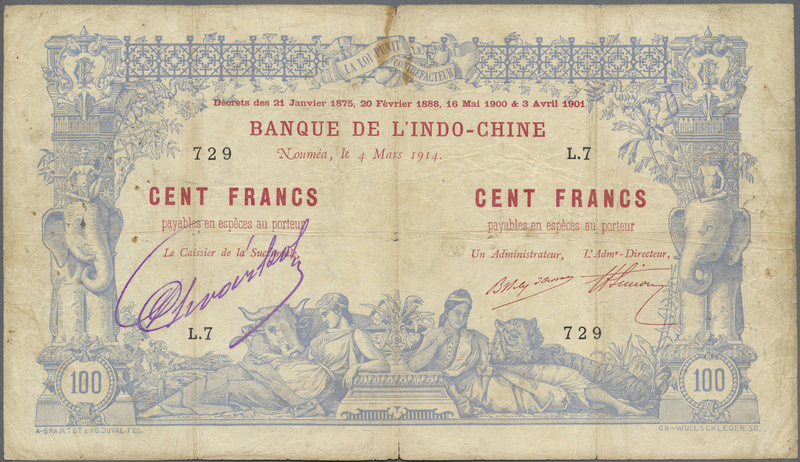 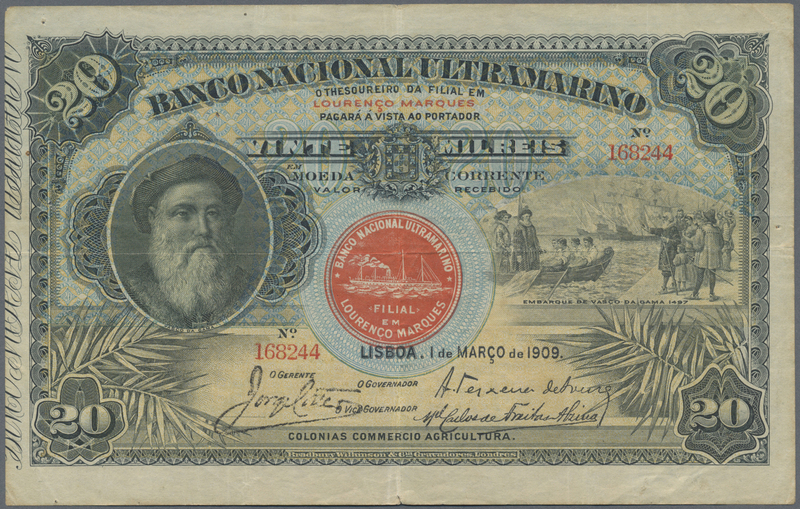 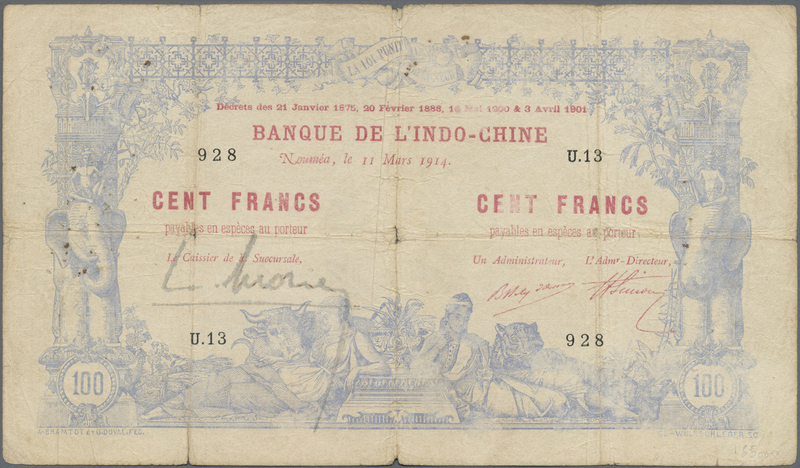 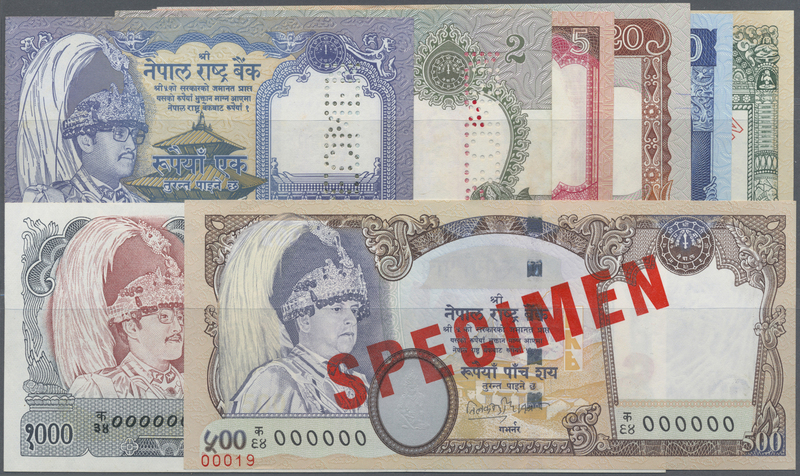 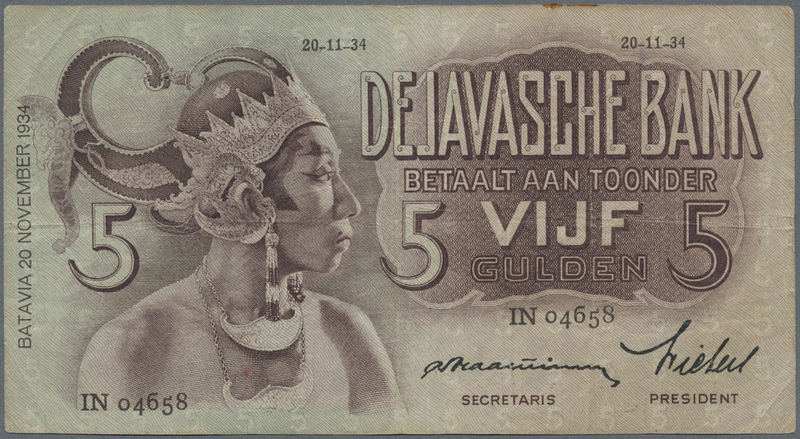 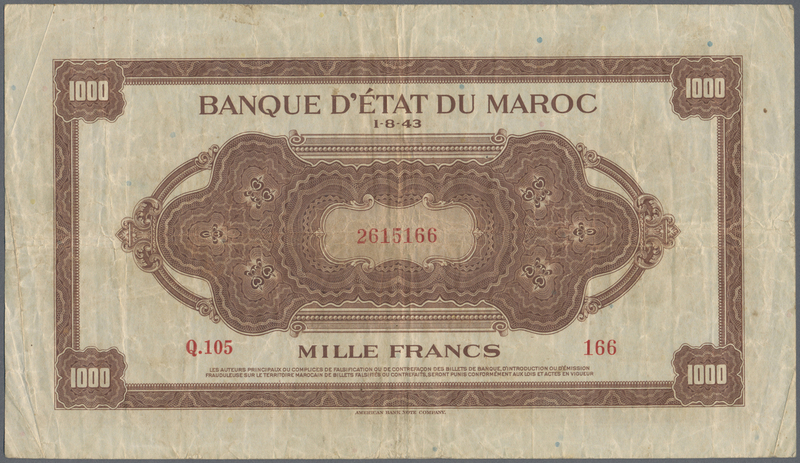 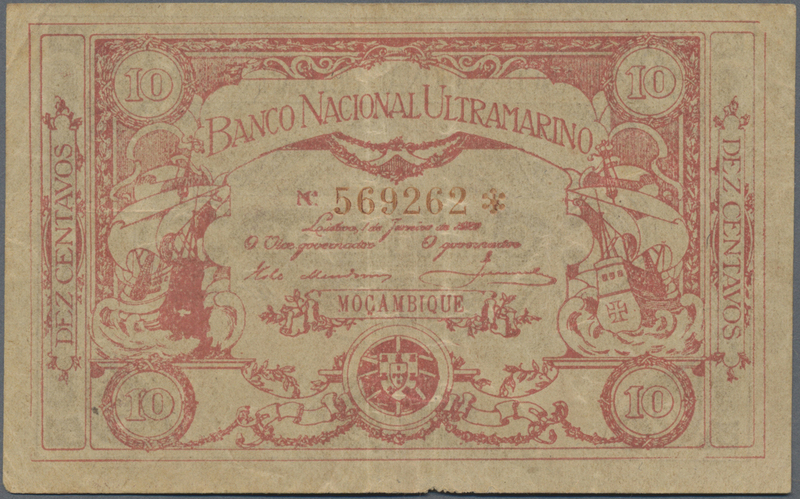 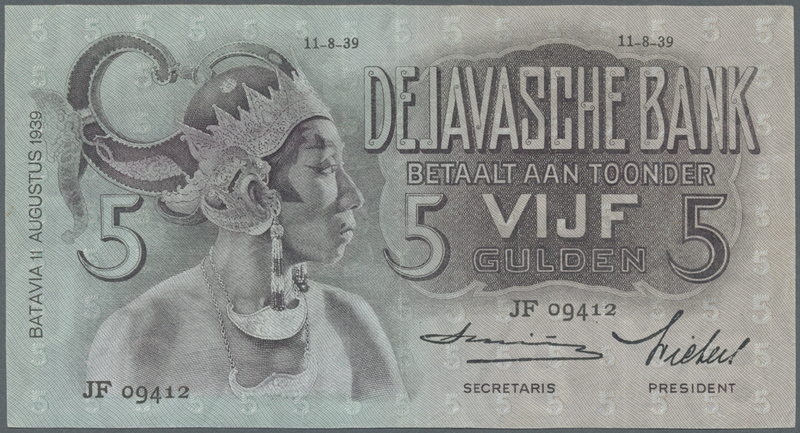 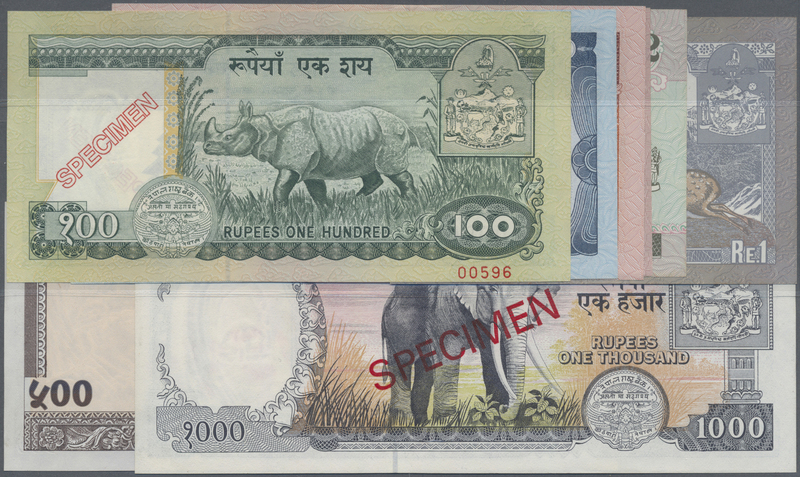 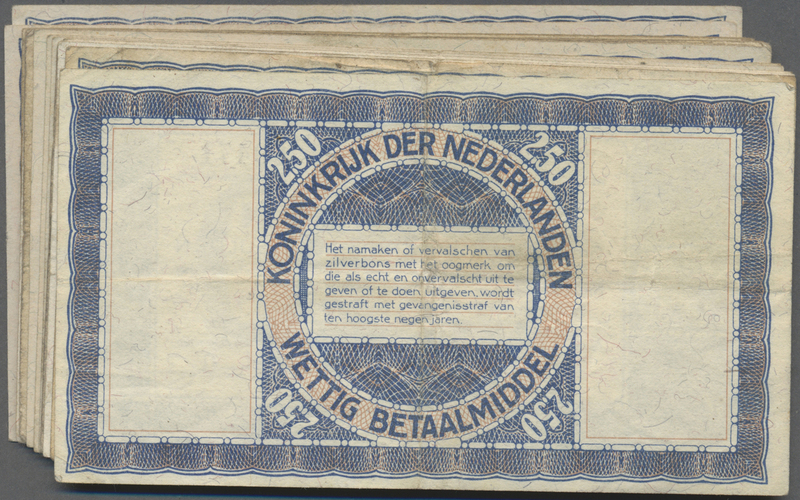 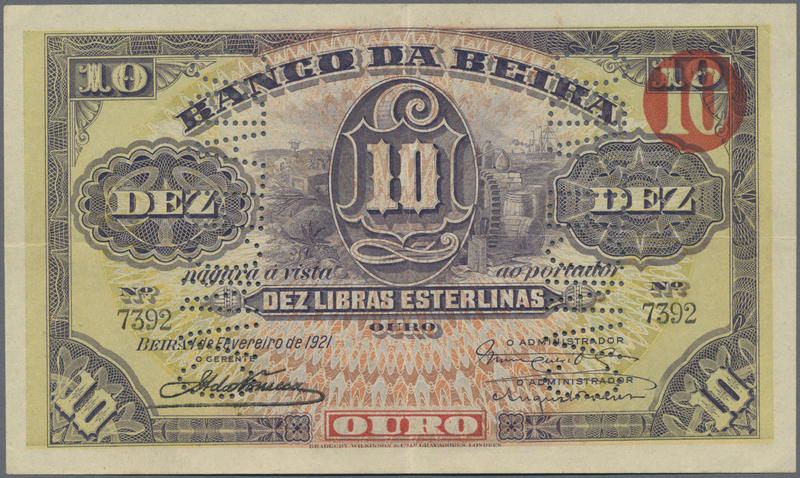 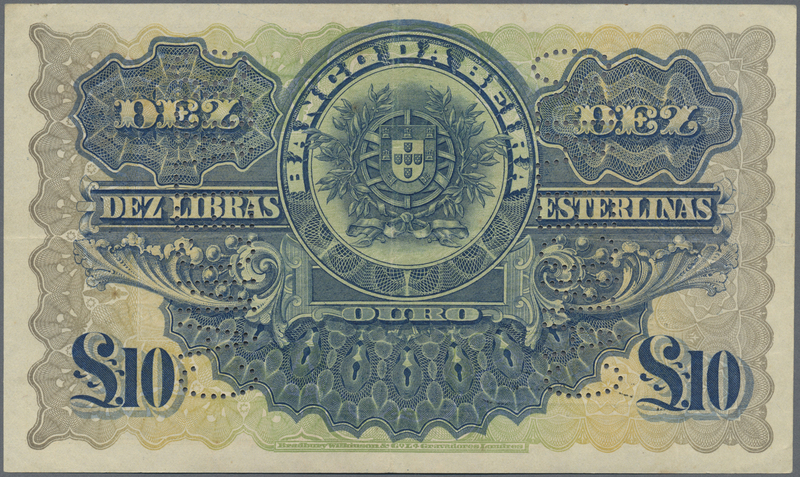 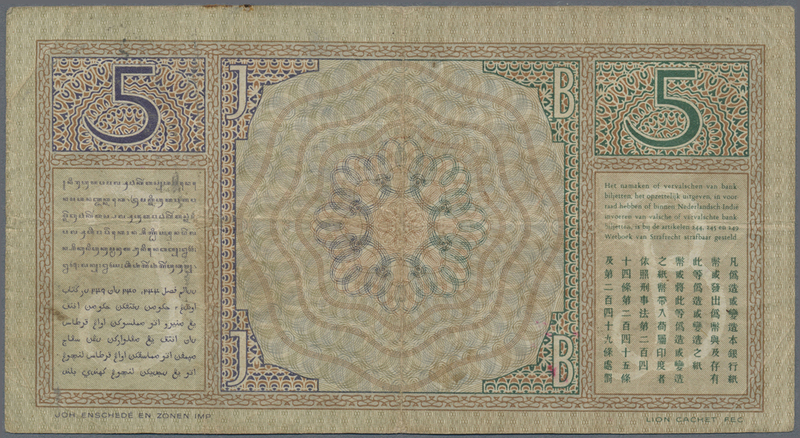 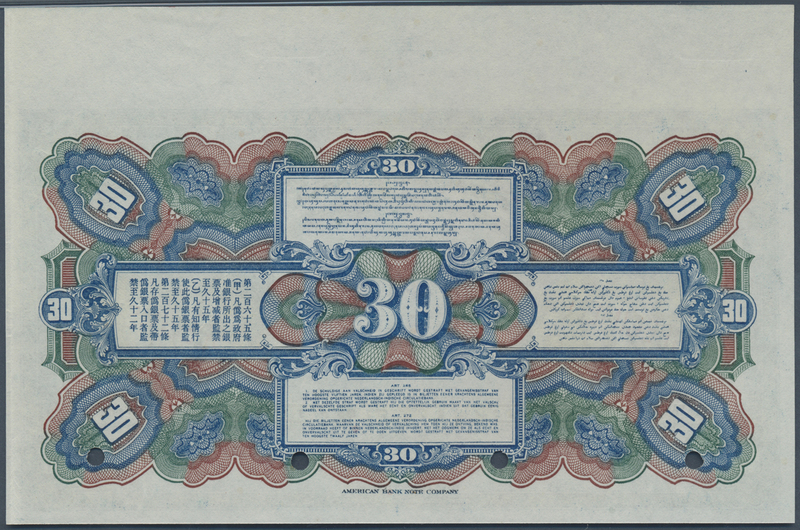 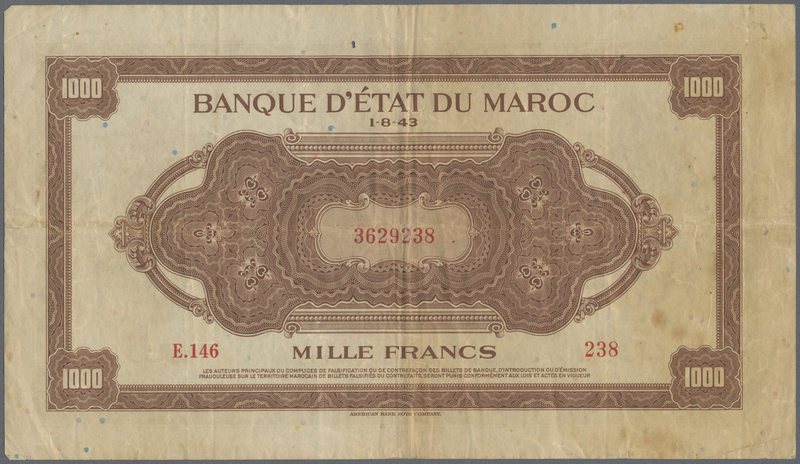 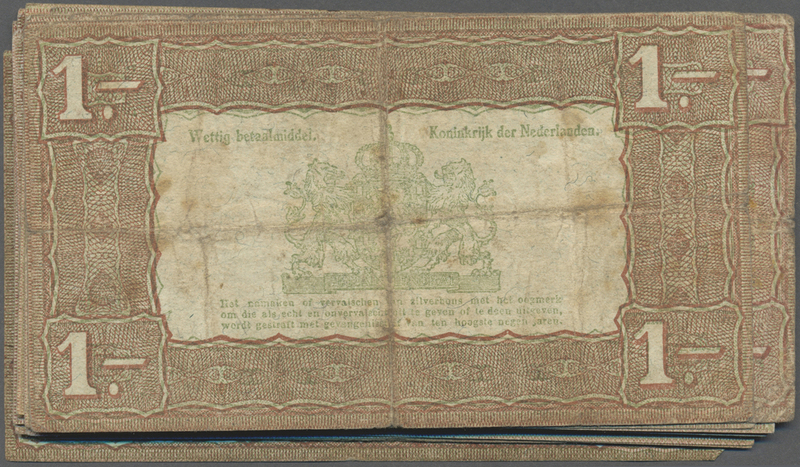 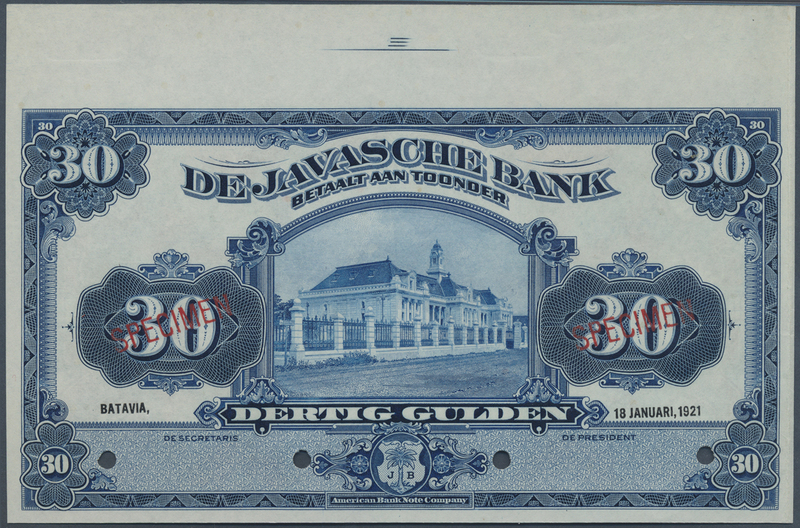 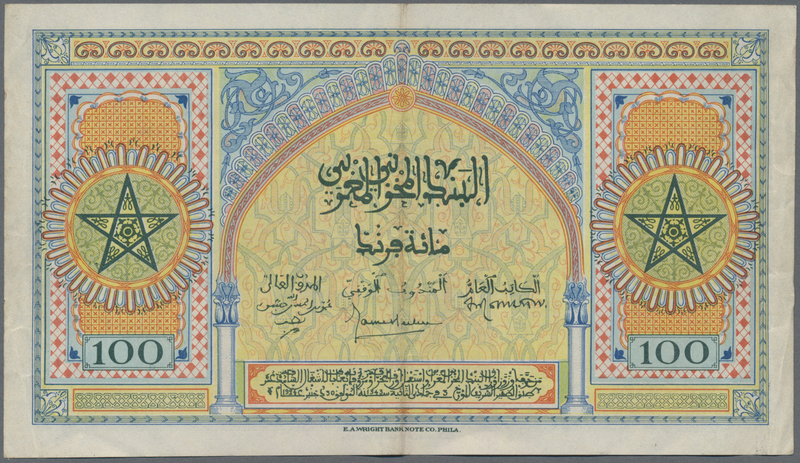 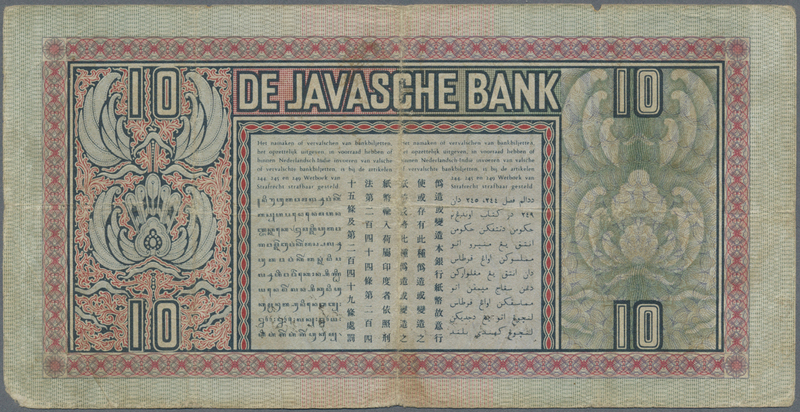 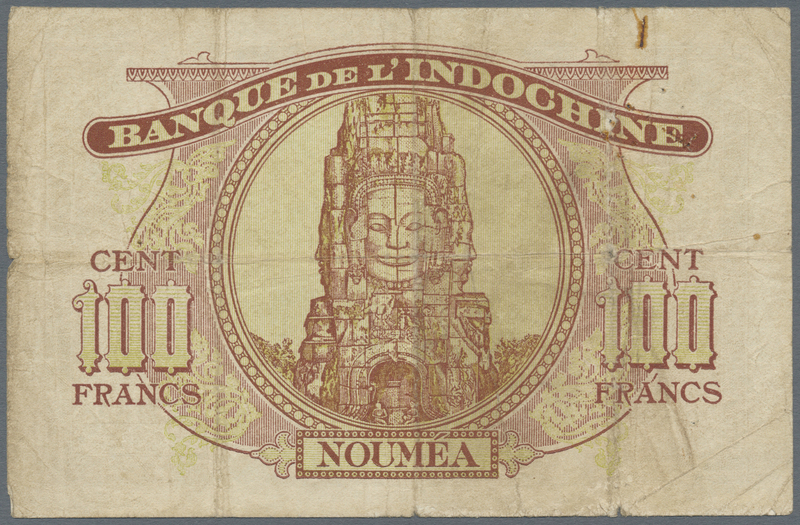 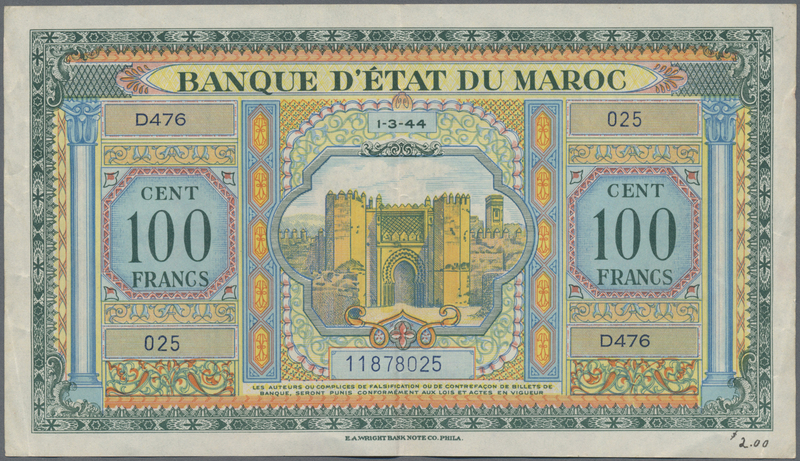 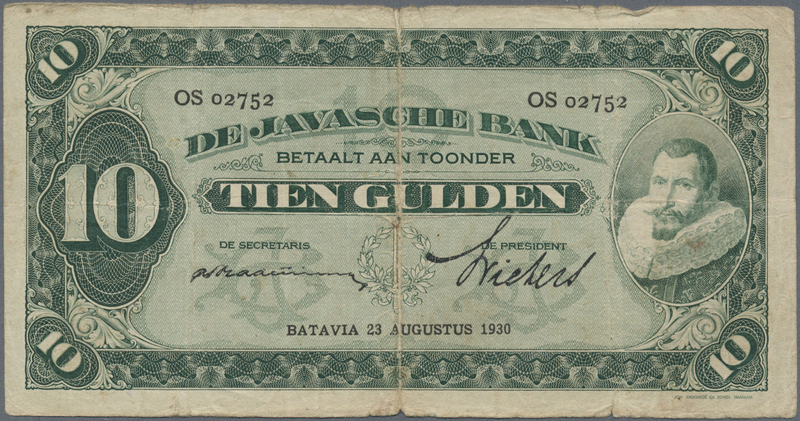 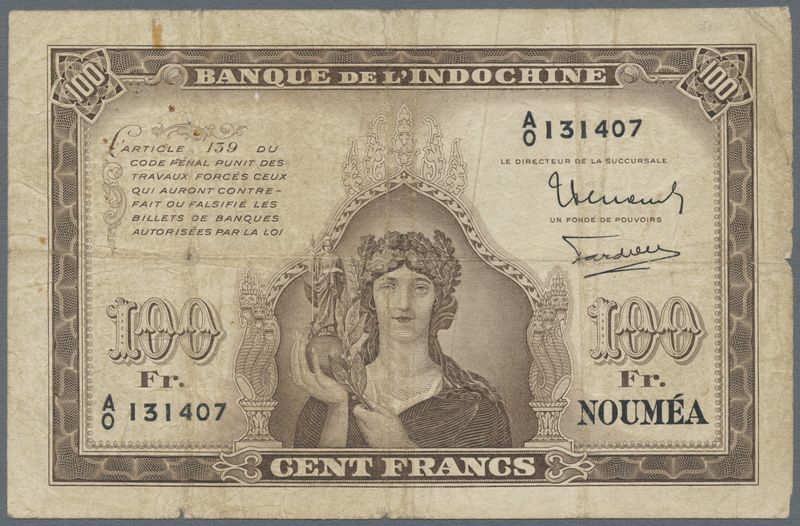 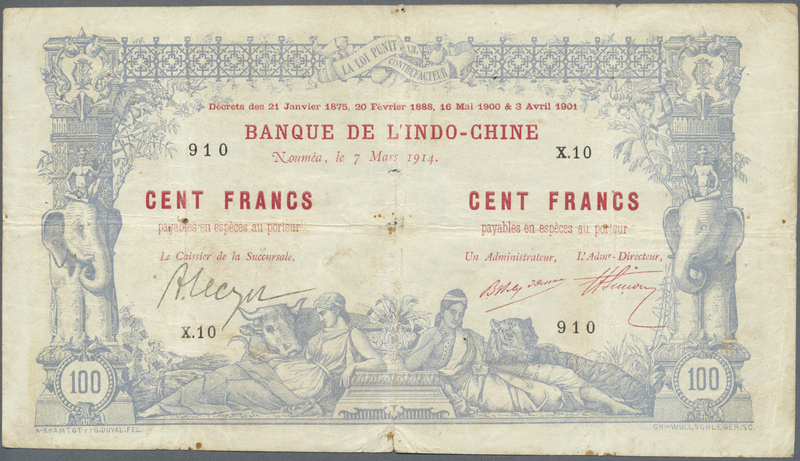 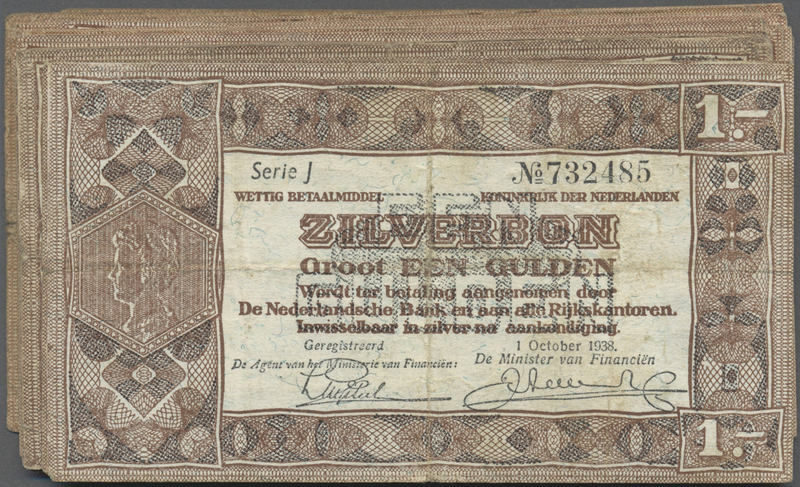 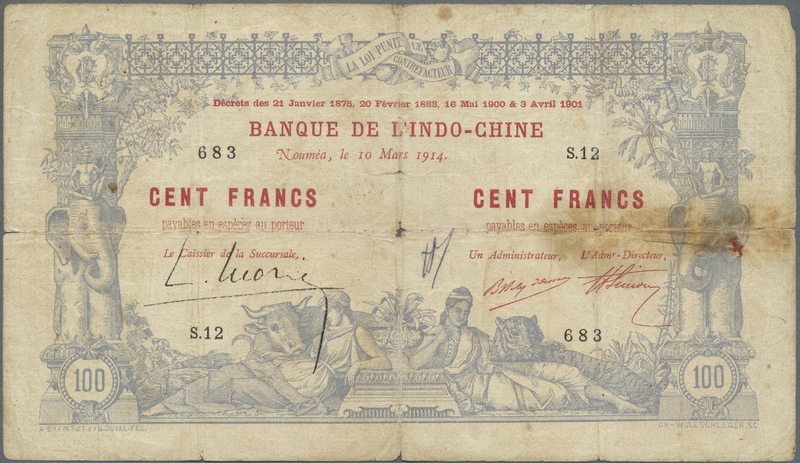 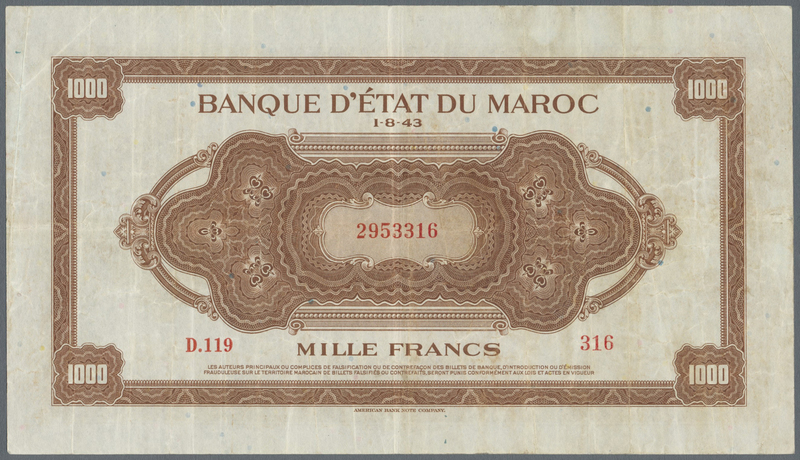 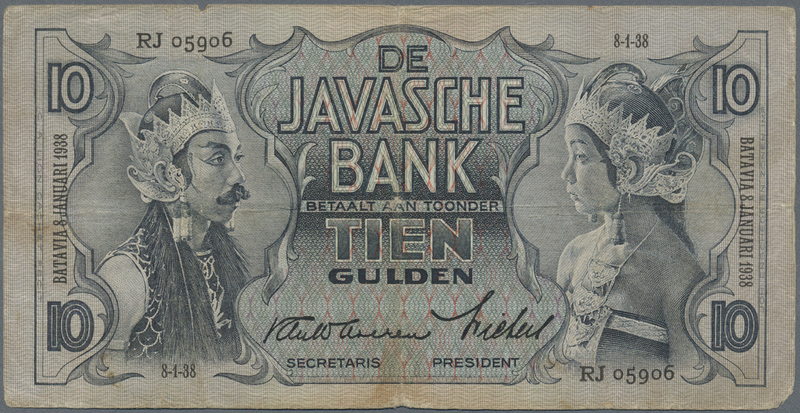 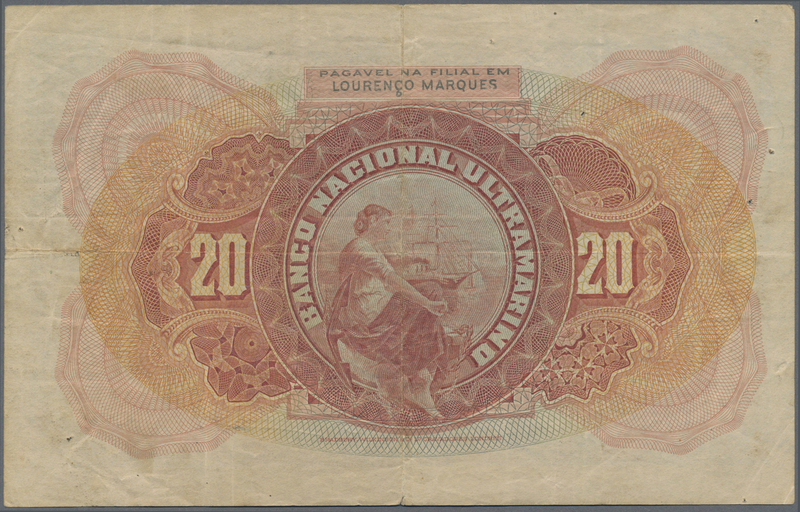 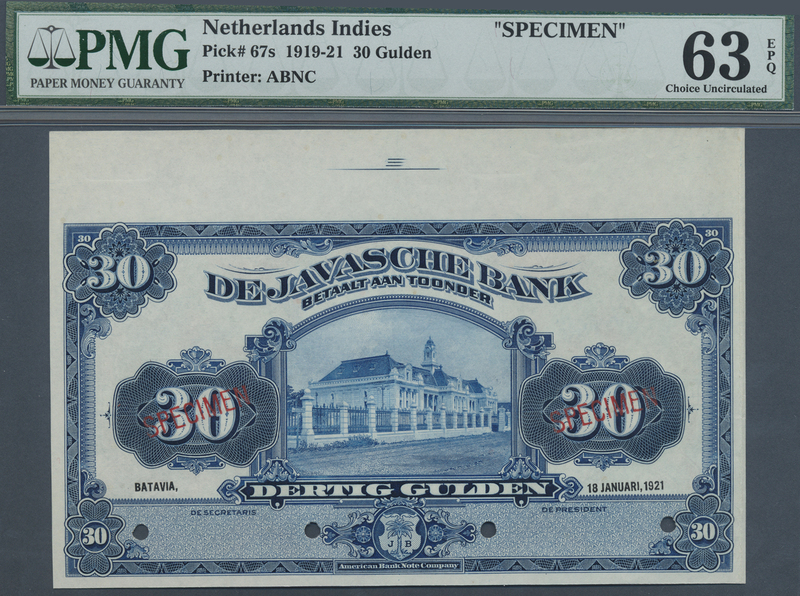 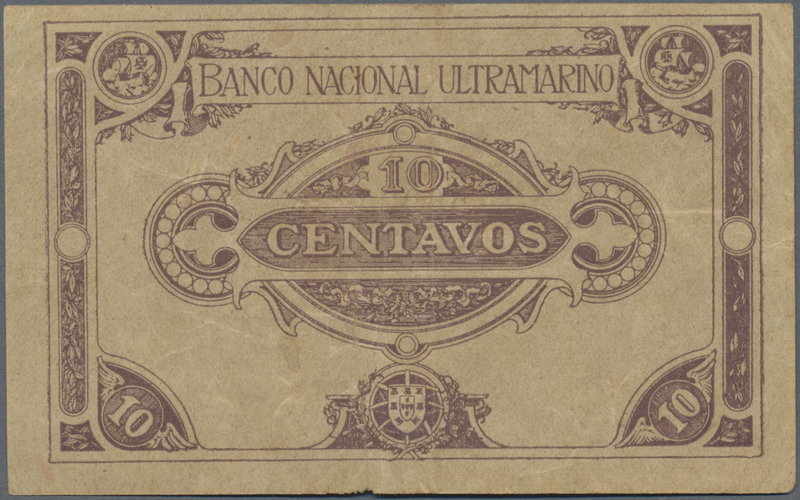 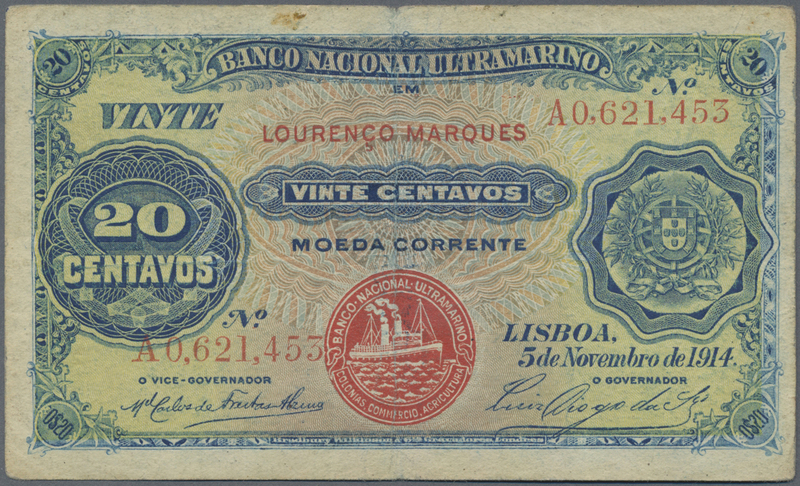 2165 Pick 78 De Javasche Bank 5 Gulden 1939 P. 78 in nice condition with only light center fold, corners still sharp, paper still strong with crispness and original colors, two corner folds, no holes or tears, condition: XF. 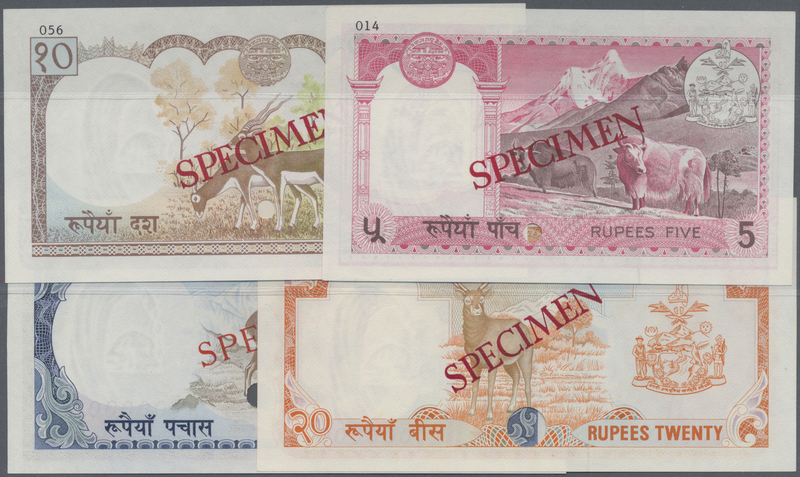 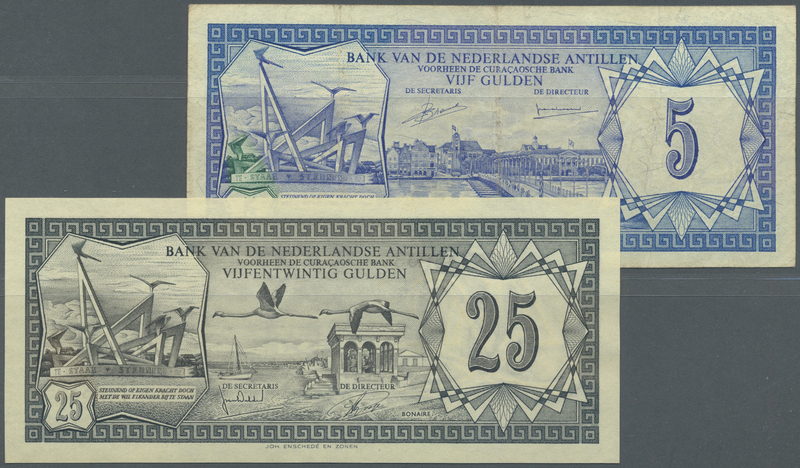 2170 Pick 70 1 Gulden 1945 P. 70, error note with 2 different serial numbers printed, #318431 and #318531, note is used with folds and stain in condition: F to F+. 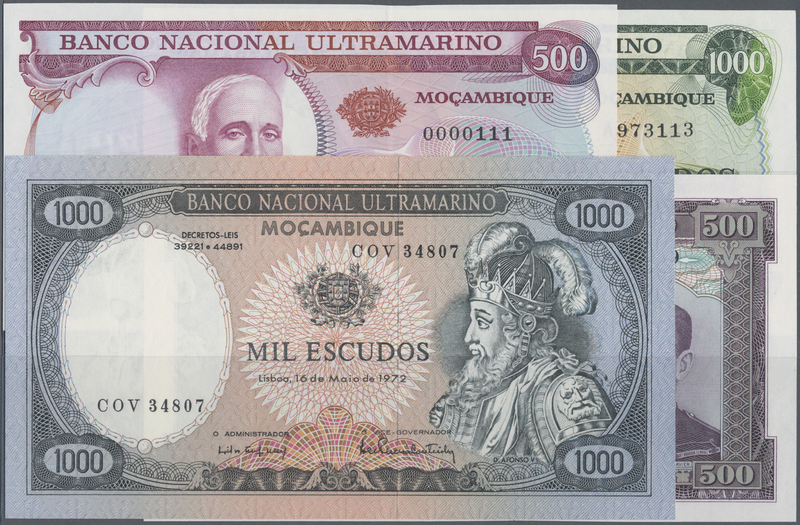 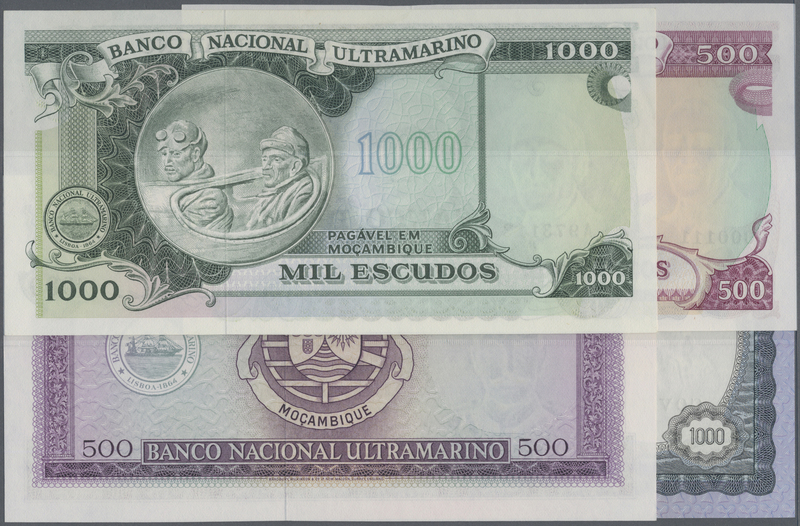 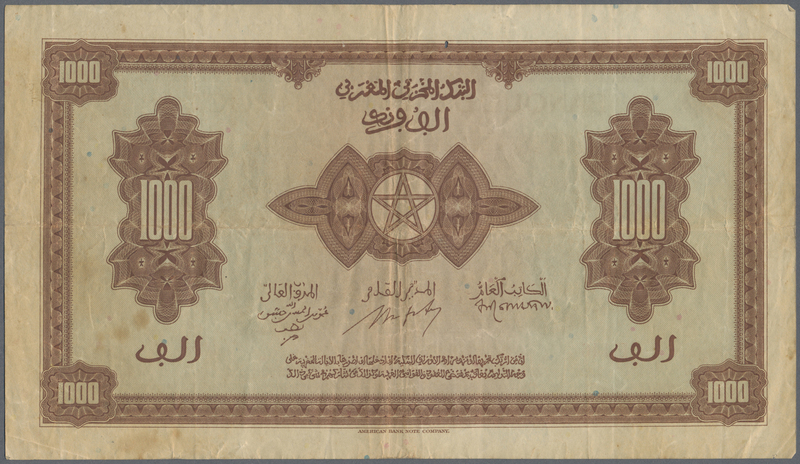 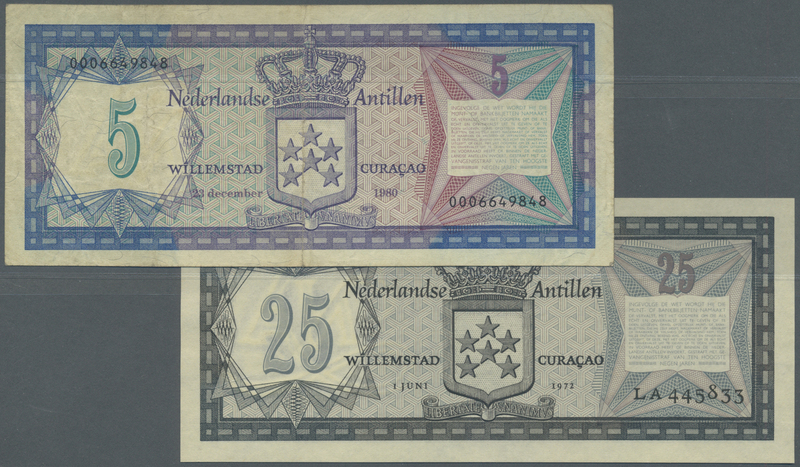 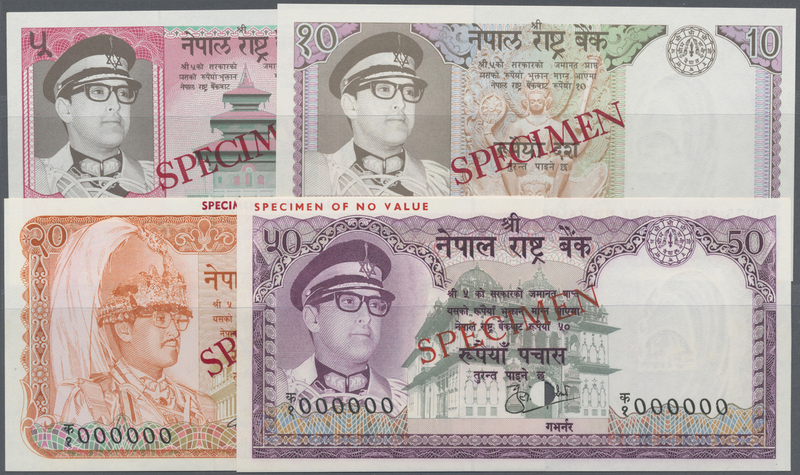 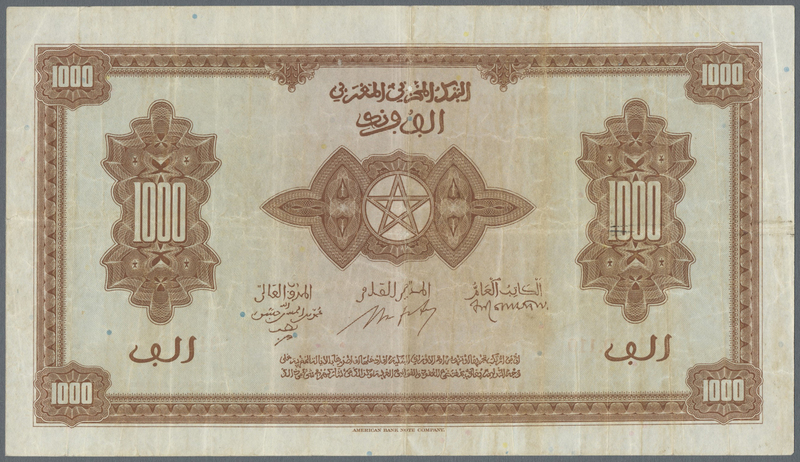 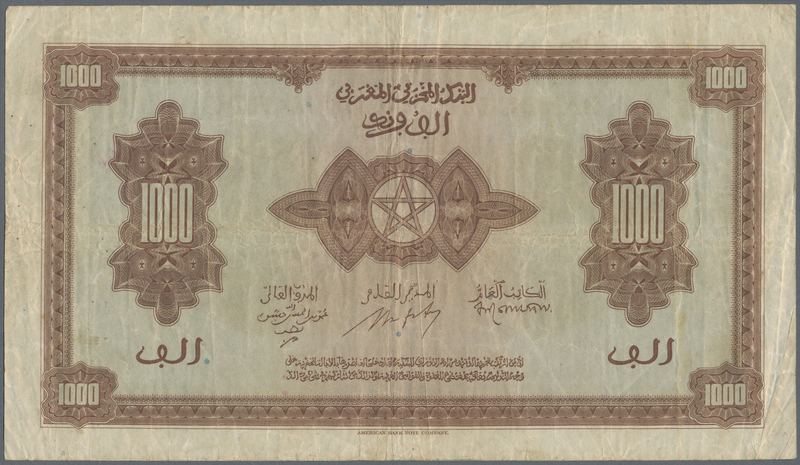 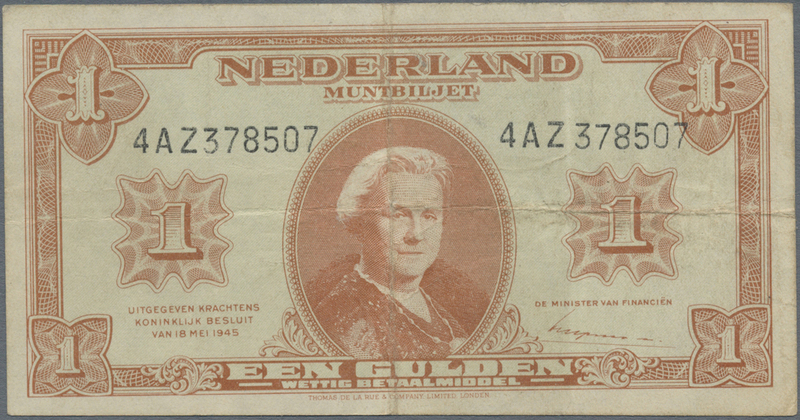 2171 Pick 70 1 Gulden 1945 P. 70, probably proof print, without serial numbers on front, printers annoations on front, condition: aUNC. 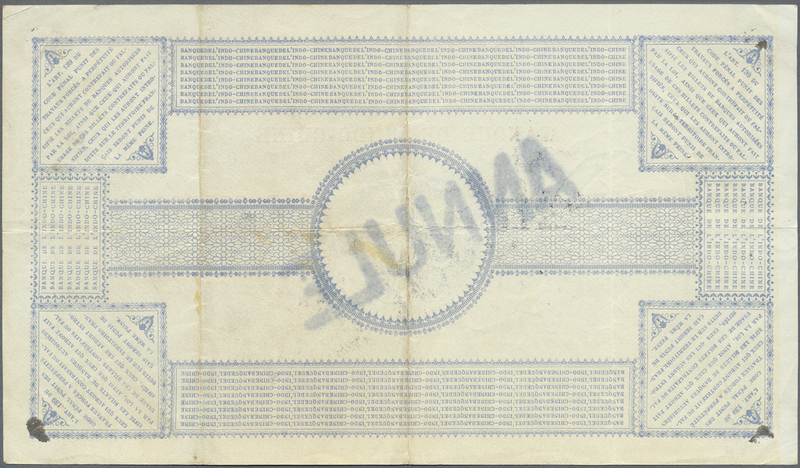 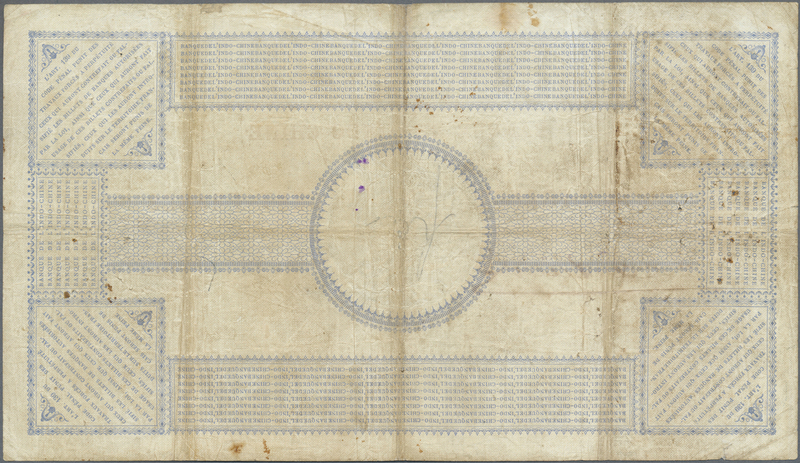 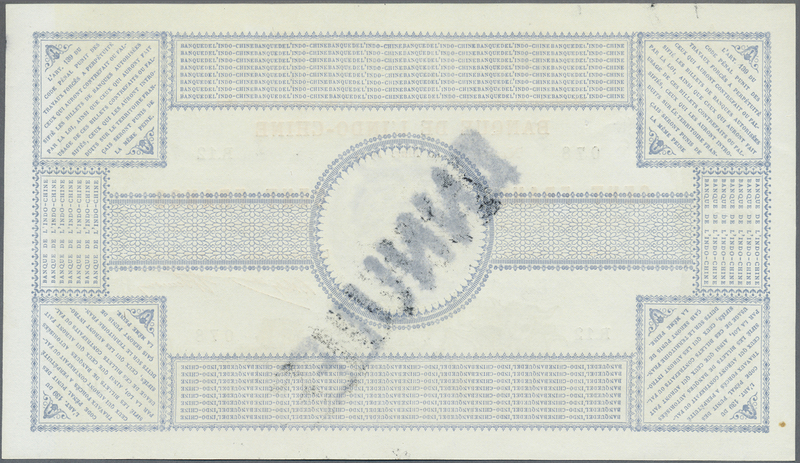 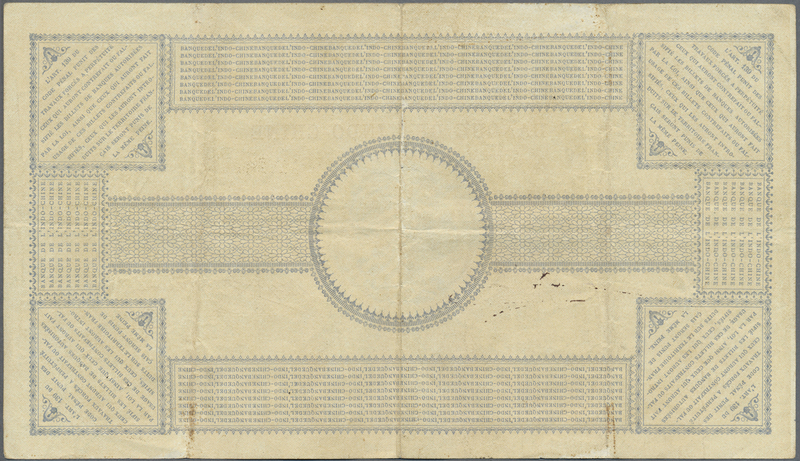 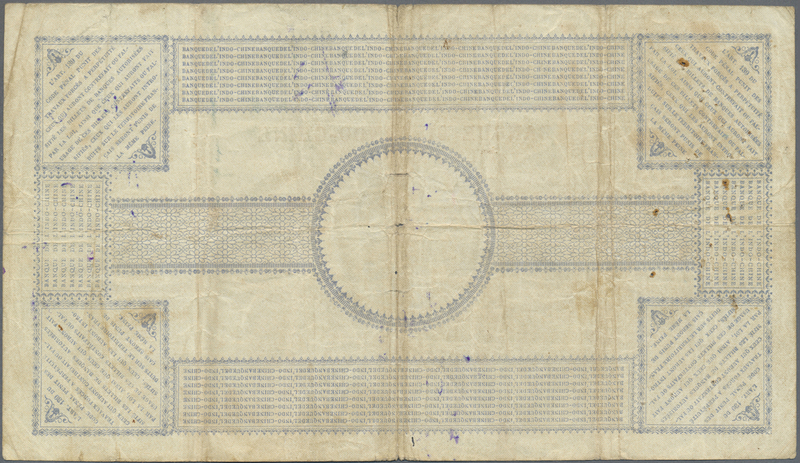 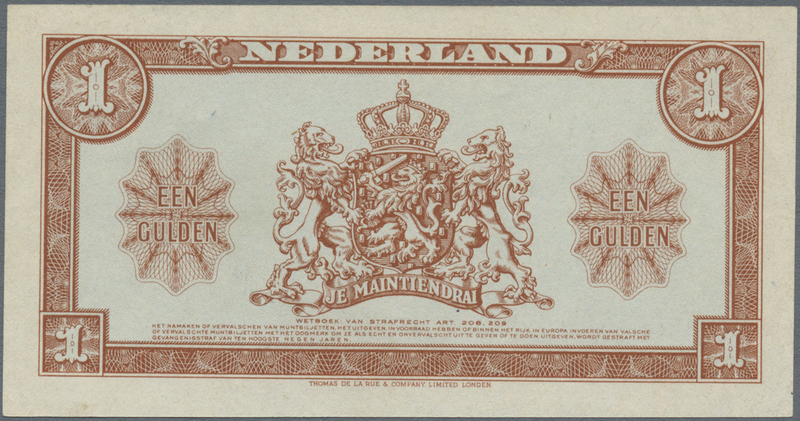 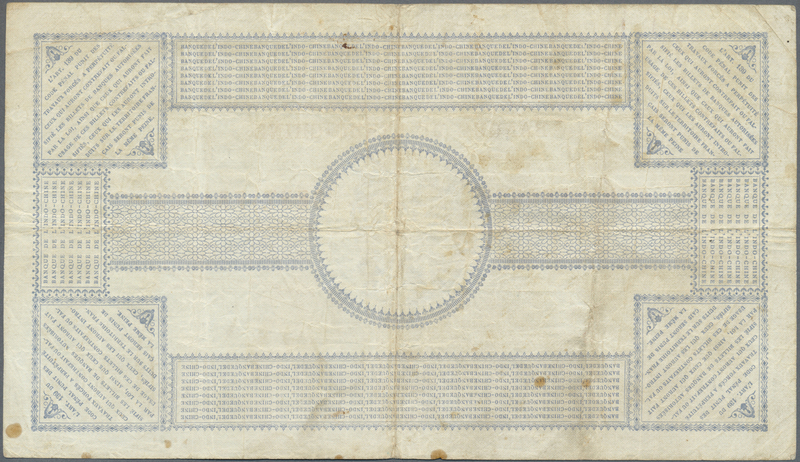 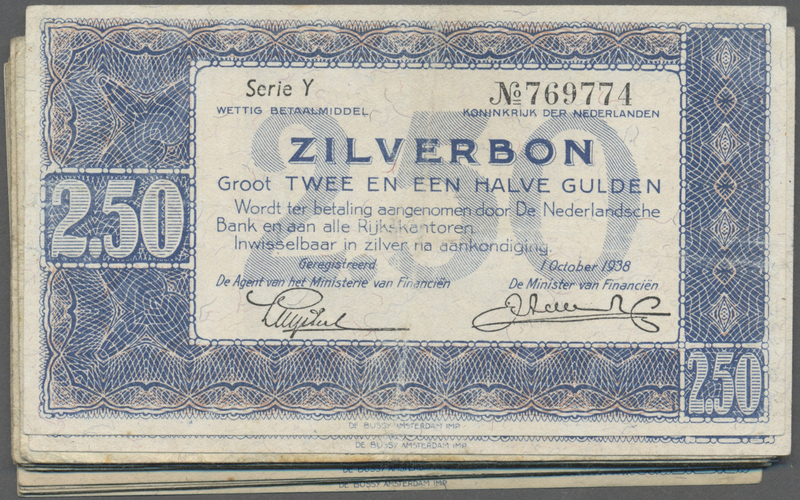 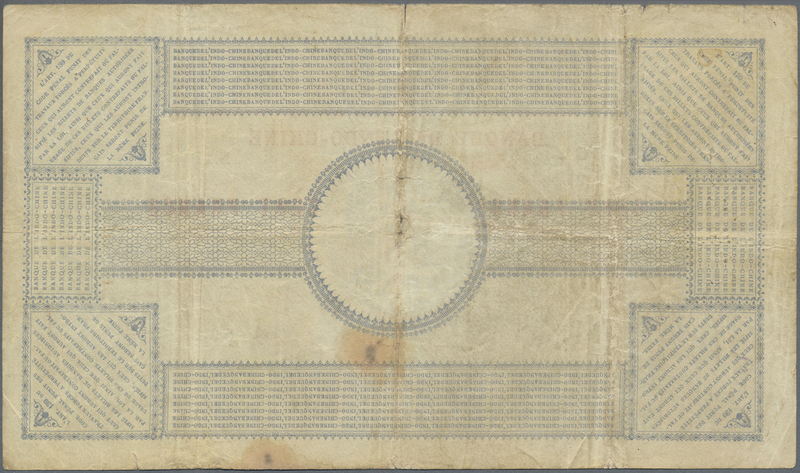 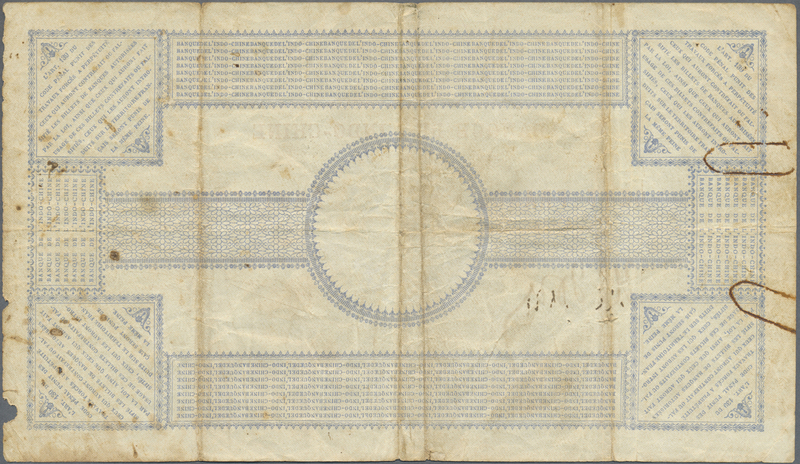 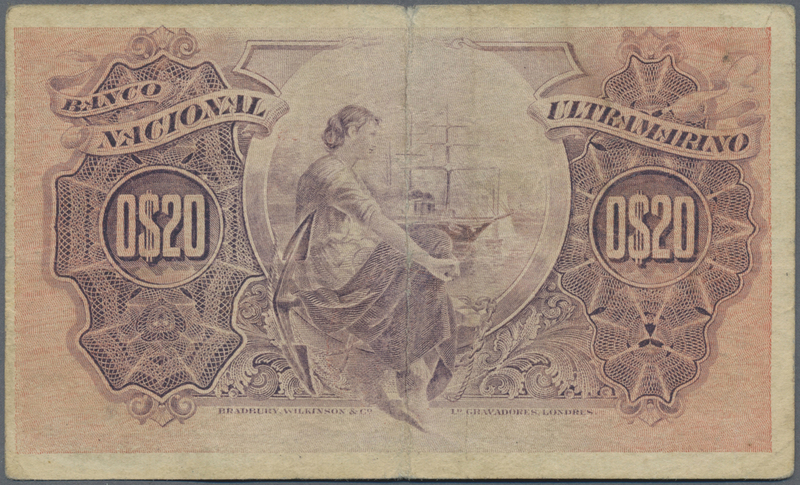 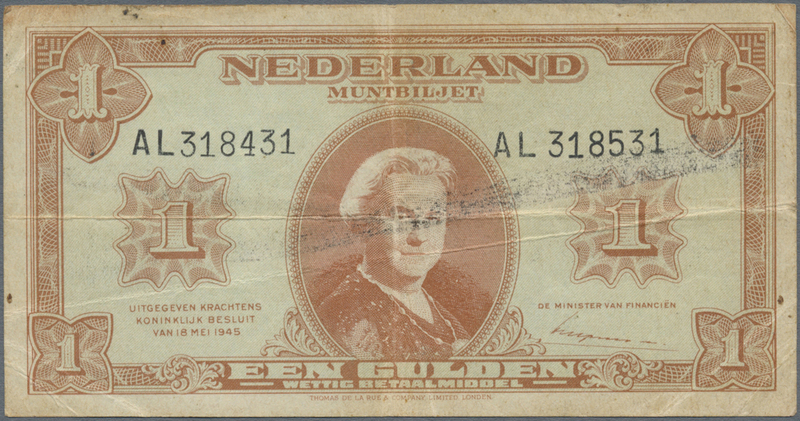 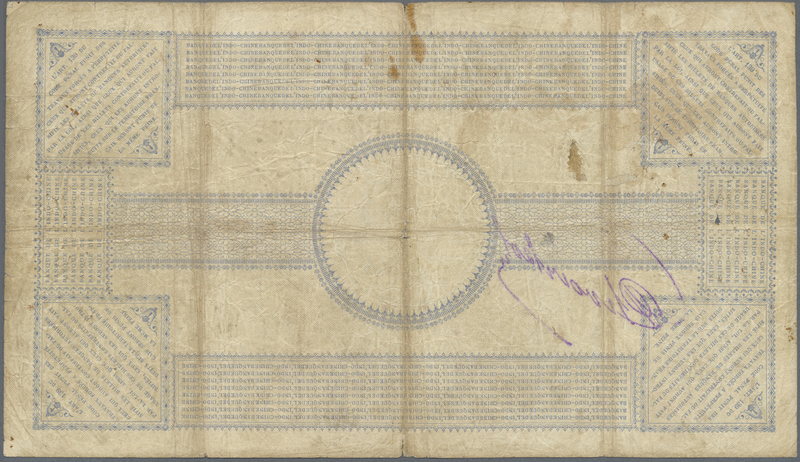 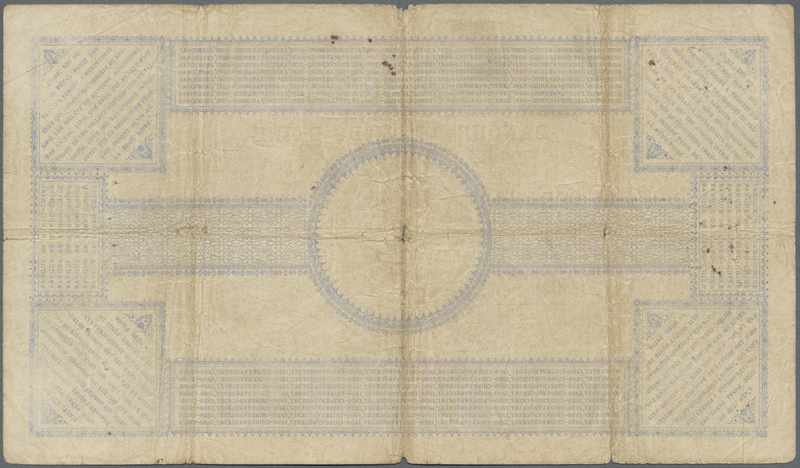 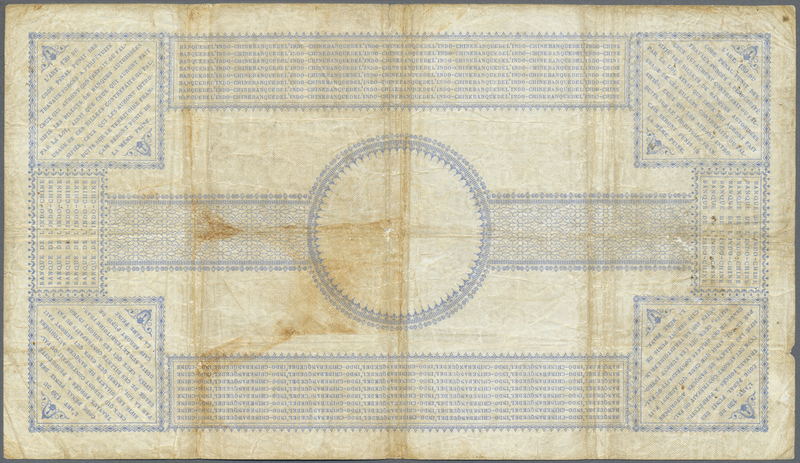 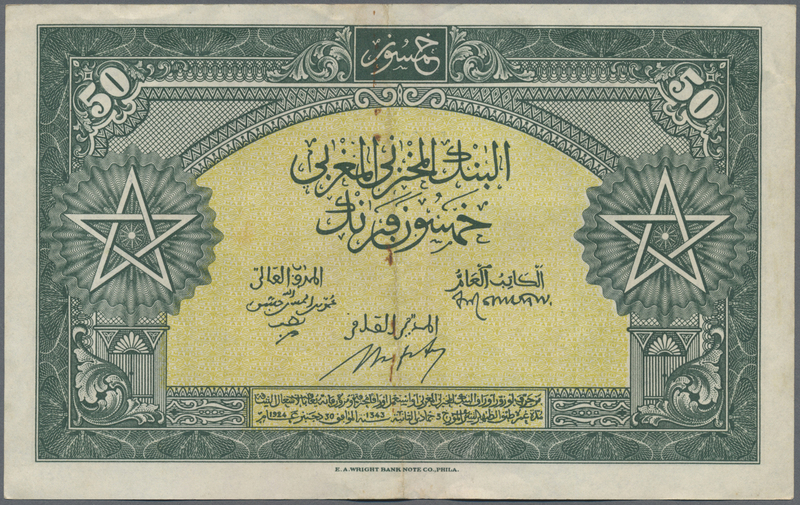 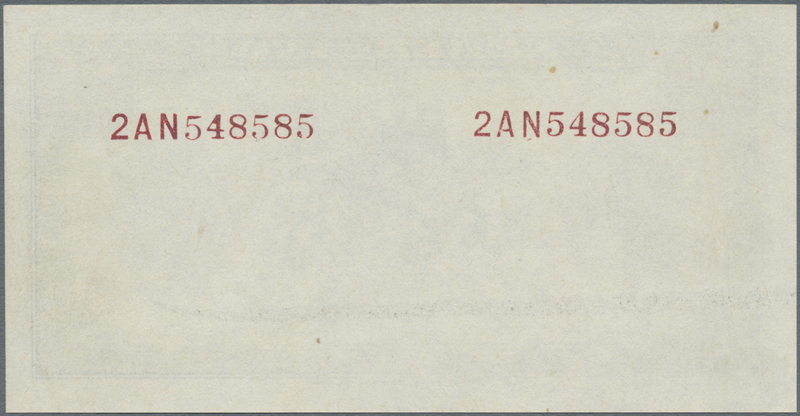 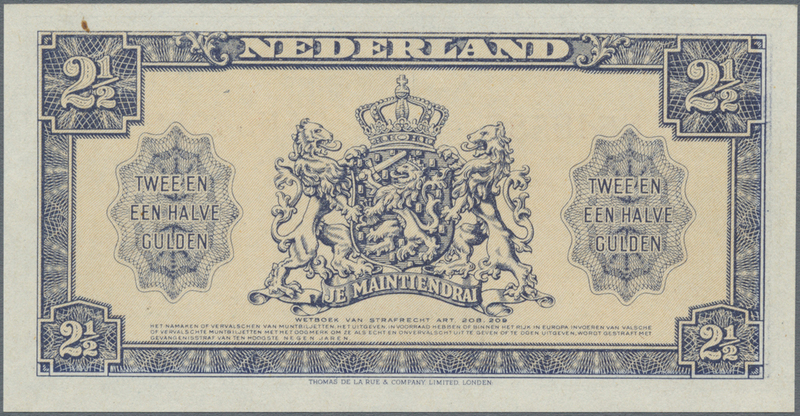 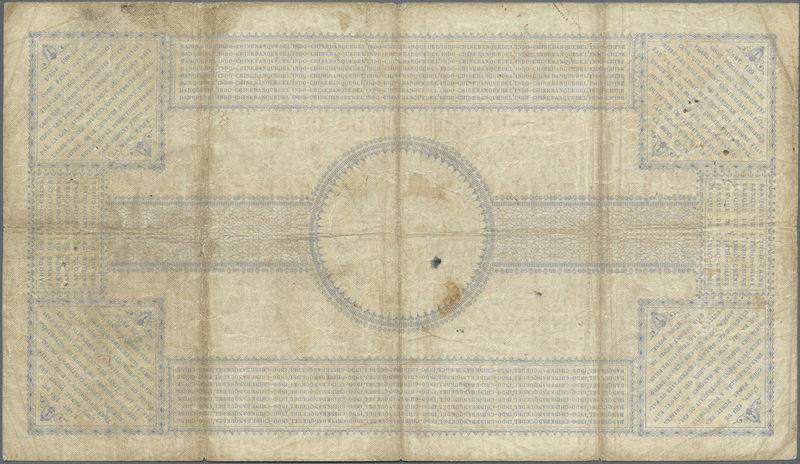 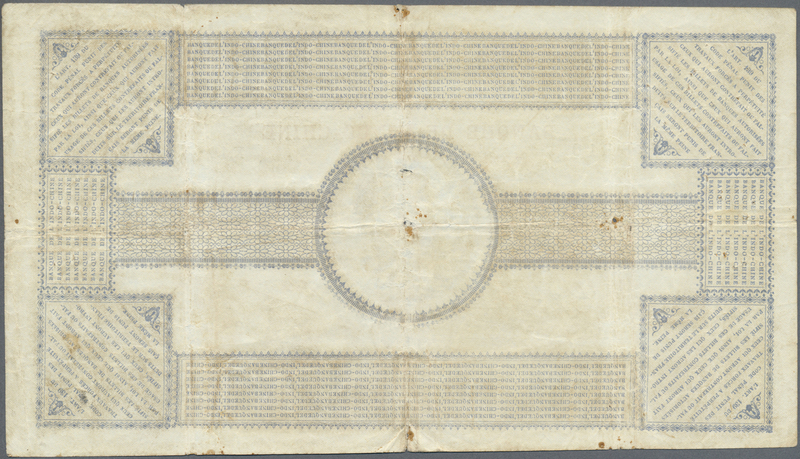 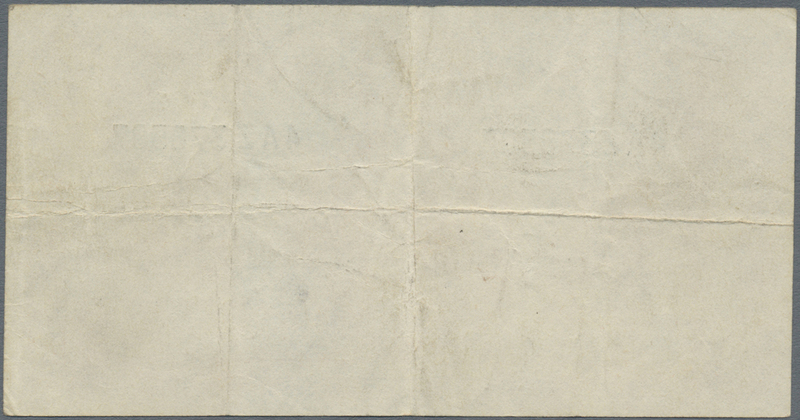 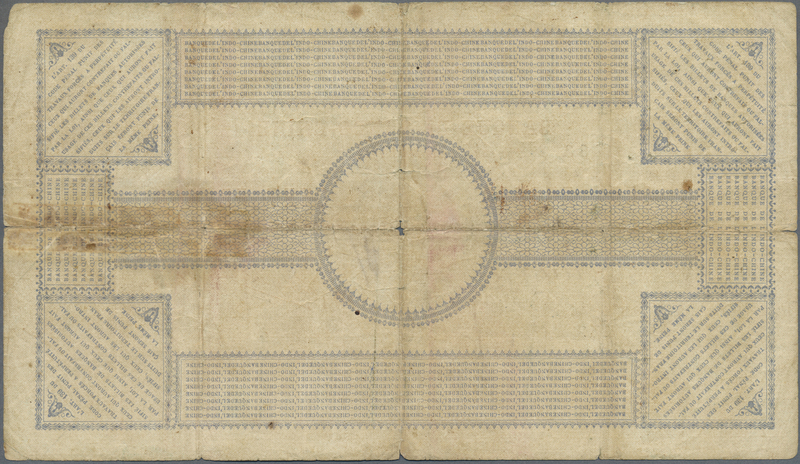 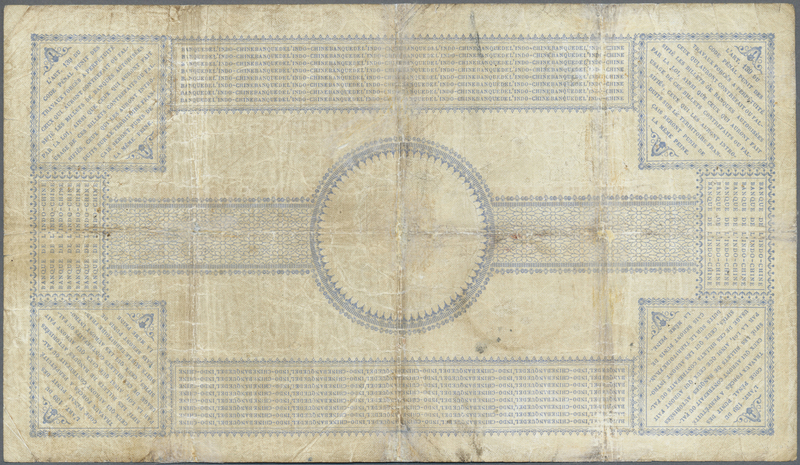 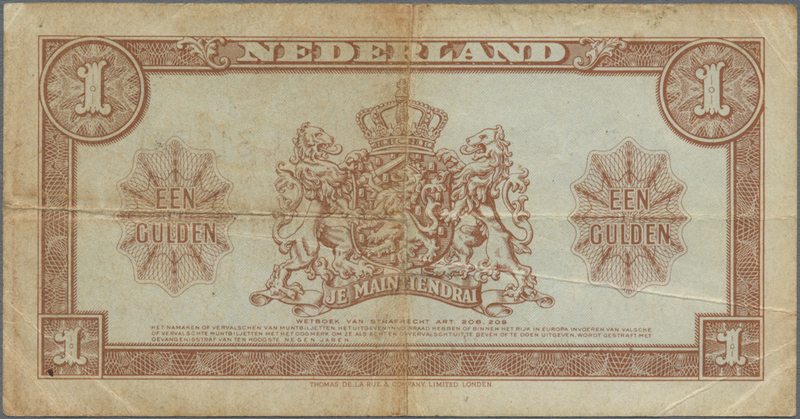 2172 Pick 70 1 Gulden 1945 P. 70, print error, back side is unprinted, note used with folds in condition: F+ to VF-. 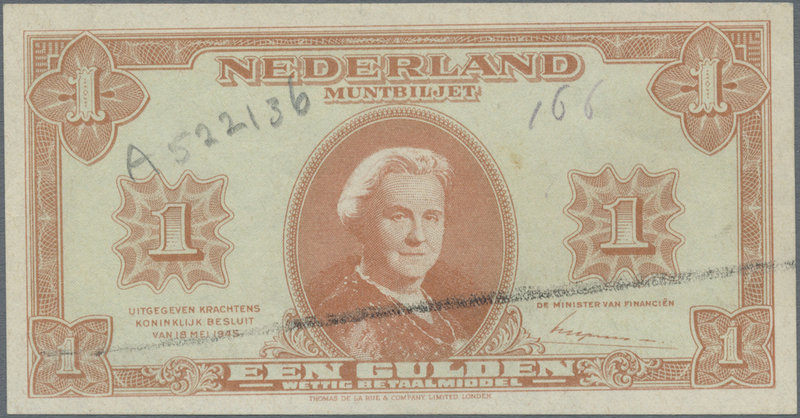 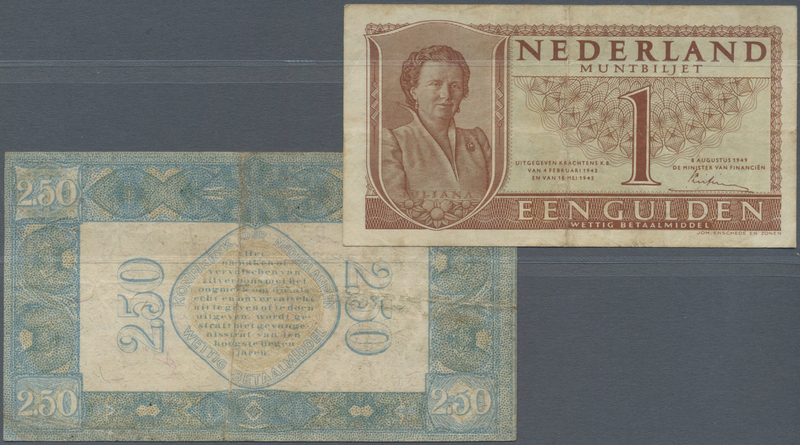 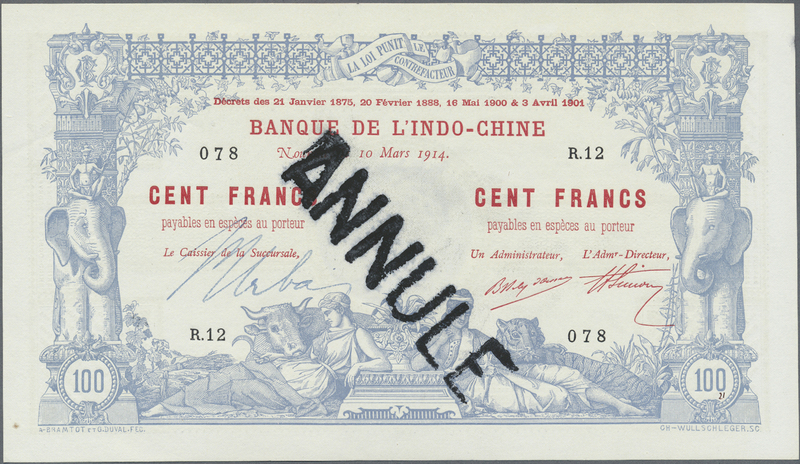 2173 Pick 71 2 1/2 Gulden 1945 P. 71 error note with missing print on front, condition: aUNC.